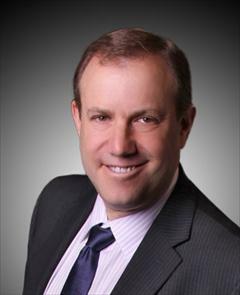 Since joining Jordan Baris, Inc. in 1985 immediately after graduating Rutgers, Ken has been a dynamo on the Northern New Jersey real estate scene. At the age of 22, Ken was the youngest CRS in the nation and later earned the CRB designation. An industry leader, Ken with a partner developed and licensed to Top Producer Systems, Top Presenter – an interactive multimedia listing presentation that was the awarded the best new software product of the year by the NAR when it was launched. Ken's massive sales track records includes marketing, selling and leasing of single and multifamily homes, apartment buildings, office space, land and new construction. In the media, Ken has been heard on radio and seen on CNBC and NBC National Nightly Newsas a real estate expert. Frequently in the press he has been quoted in editorial sections of the The New York Times, The Wall Street Journal, Real Estate News, Real Estate Business and the Star Ledger. An author Ken has been published in The Real Estate Professional Magazine, Real Estate Business, Real Estate Today and various industry newsletters. A community leader, Ken is the past president of the West Orange Chamber of Commerce, current board member Oscar Schindler Performing Arts Center, former trustee of the NJ Property Owners Association and Oranges and Maplewood Board of Realtors. An award recipient, Ken haas been honored as the Winston Salem University -Clarence "Big House" Gaines Unsung Hero and as the National Kidney Foundations Family of the Year. Established in 1952, Jordan Baris Inc. is one of the premier full-service real estate brokerages in New Jersey and the New York metropolitan area. The firm operates offices in West Orange and South Orange and has a large team. Jordan Baris, Inc. provides real estate brokerage services to buyers and sellers of residential and commercial properties, tenants and landlords as well as developers. A member of the Leading Real Estate Companies of the World, the firm provides national relocation services. Jordan Baris, Inc. is renowned for both superior customer service and leading-edge technology. Visit the firm's Web site at www.jordanbaris.com.